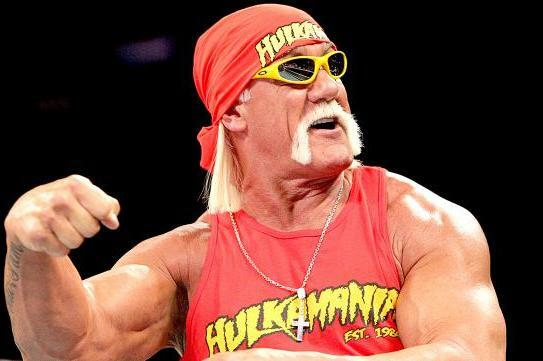 I was thinking today about something that really bugs me: Hulk Hogan. As far back as my memory goes, the Hulk has been the biggest blowhard going. Loud, annoying and obnoxious. But when he retired from wrestling, we were finally spared his “Look at me, I’m the greatest! !” act. (Side note: You were never the greatest, Hulk. That honour went to Cassius Clay. And even though he, too, was also a blowhard when he declared, “I am the greatest!”, at least with him, you knew it was true). And then along came his reality TV show which, thank God, never appeared on any of the channels I get, so it caused me only collateral suffering. For the most part, I could ignore him, accidental channel surfing into a Hollywood gossip ‘news’ program or American Gladiators notwithstanding. But now this thing with his son in jail for damn near killing his friend in an illegal street racing accident, it’s just too much for the rational human mind to comprehend. For those of you fortunate enough to have avoided all the hoopla thus far, here’s a quick recap. Hulk Hogan’s son, Nick, was driving a car recklessly and at high speeds in Florida last August. He lost control and wrapped the car around a tree, the result of which is his friend John (who was also in the car) was seriously injured and will likely spend the rest of his life in a nursing home. Nick is a minor but was tried as an adult on multiple charges and sent to jail for eight months (did I mention all the beer minor Nick bought just prior to the accident? ), he is placed in solitary confinement because he is a minor, then phones mommy and daddy to complain about jail and encourage Daddy Hulk to work out a reality TV deal for him once he gets out of jail, but tapes of that phone call are released by the sheriff, so Nick is now suing the sheriff, while his Mommy thinks his application for early release from jail (after two whole weeks!) in favour of house arrest won’t help him to curb his wild ways, Oh yeah, did I mention his Mommy has filed for divorce from Daddy Hulk, allegedly to split the family assets and protect them from the civil suit brought by John’s parents (remember John, the former friend and now living vegetable? ), while Hulk is having to endure a tirade of insults from his estranged wife about being a bad husband and horrible father. Whew. Did you get all that? Are you wondering about how these people managed to get headline status in every news organization this side of Jupiter or are you looking back to where I wrote that Nick got eight months jail time for ruining someone else’s life? Yeah, both sides of that particular coin are pretty horrid to contemplate. And indeed, I was going to contemplate this mystery of how our society has became so shallow and self-serving, as perceived through the exploratory lens of people like the Hogan Family, when I opened the front door and there it was: a beautiful summer day. Warm sun, cool breeze, green trees. Birds singing, kids laughing, grass growing. The Hogans and their cloak of misery fell away like dried mud from the side of a newly washed car. Why spend all that time reflecting on personalities that have all the appeal of moldy, roach-covered bologna when I could sit on the porch and watch real people go by? And that’s where we really go wrong. We give these people a soapbox and then, when it’s not tall enough for them to reach out to everybody, we mount a satellite dish on the soapbox so that others may also watch the roaches devour the bologna. (Uh, did I mention that the roaches are celebrities and the bologna could be, like, our souls? Oh, ok, my bad. Metaphor is not really my strong suit some days). So, on days like these we should simply turn off the TV, avoid the internet, sit on that damn soapbox and enjoy the day. Nothing is more important than a life well lived. And living it through the eyes and actions of people like the Hogans will only leave us sad and empty.